AirPlay is one of those Apple products that doesn’t always get the love it deserves. You don’t hear a bunch of hoopla surrounding new features, but it’s still one of Apple’s best services. For the unaware, AirPlay allows you to essentially stream content from your Mac or iOS device to compatible devices. For example, if you’re watching a movie on your computer and want to move to the couch, you can use AirPlay, provided you also have an Apple TV. From time to time, there are bugs and issues that plague AirPlay after various updates. A recent update has been causing content to stop, stutter, or play only intermittently. This is obviously extremely frustrating, but we have a few fixes to test out. The most popular “fix” for just about any issue is to simply restart. If you are running into issues with your Mac or iOS device not running properly, you’ll likely want to just restart the device. This method could automatically work out any kinks or hang-ups that are taking place in the operating system. If the issues persist, you’ll want to proceed to the next steps we have below. One issue that has plagued older MacBook Pro and Mac Pro owners came when AirPlay would drop frames or freeze altogether. 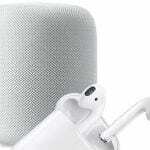 Apple worked on a fix and found that turning off Bluetooth would remedy the issue. 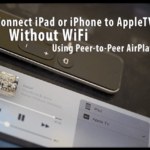 This should alleviate many of the issues that you run into when attempting to Airplay. It seems the cause of this is due to connecting to an 802.11 b or g network on your router. If the problem persists, you would likely want to invest in a router that supports the 802.11 n or ac standard. It should come as no surprise, but all of those electronics in your home can actually be interfering with each other. It doesn’t matter if your refrigerator and microwave are acting a bit wonky, but it does if you can’t use Airplay on your mac. In that case, you will want to check to see if there’s anything that could be hindering the connection between your devices. This could be something as basic as a smart home hub or smart light bulb. If the issues persist, you’ll want to try moving things around a bit to see if that clears the Airplay interruptions. 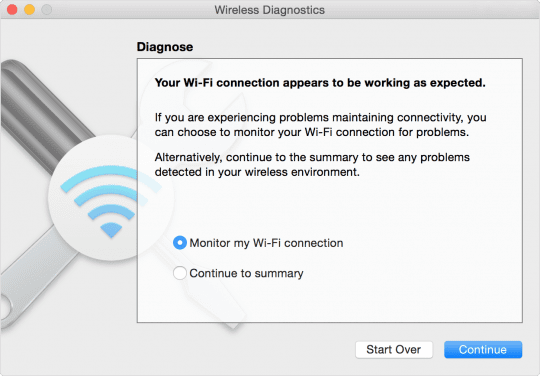 If you’re using Airplay with your Mac and are having problems, then you will want to check out Apple’s WiFi diagnostic software. This will scan your network automatically and will allow you to check to see what exactly is going on. This will perform a series of tests to see exactly what is going on with your Wi-Fi connection. If you are greeted with a message stating that everything is “working as expected”, then you still have an option to pursue. Once the tests have been completed, you’ll be presented with two options: Monitor my Wi-Fi connection and “Continue to summary”. If the issues are intermittent, you’ll want to select the former. 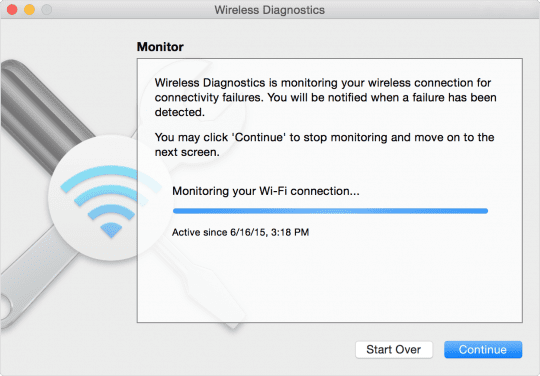 This will allow your Mac to continue monitoring your Wi-Fi connection to see if any more problems pop up. From there, you will be notified whenever the connection drops and you can view the “Summary”. Performing this task will allow you to keep an eye on what’s going on with your Wi-Fi connections. 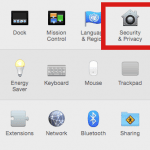 Then, your Mac will provide you with potential issues and remedies to get everything working. It’s all fine and dandy that we can finally get Gigabit speeds in our homes. However, what’s the fun in having the ability to have high-speeds if there are constant issues? This is where your router comes into play. If you are using one of Apple’s Airport devices, you’ll first want to check to make sure that it has the latest firmware. 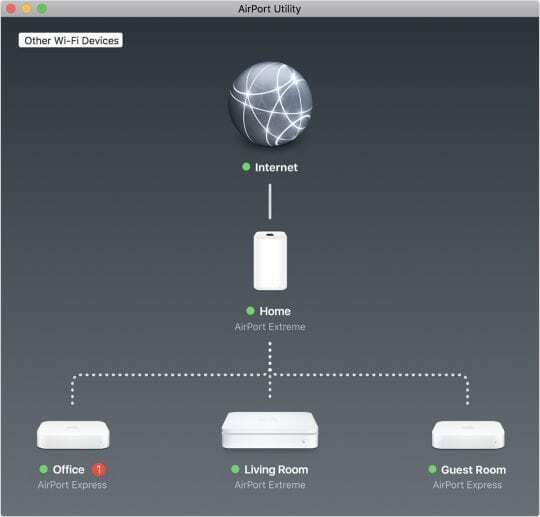 This can be done using the included AirPort Utility application. After your Airport has been updated, you can go back and see if AirPlay begins working properly again. In the case that you are not using an Airport device, you’ll want to check the specific settings on your router. Chances are this was provided by your service provider, but you can still check to make sure everything is working. If the issues continue to persist, then you will only be left with the ability to contact your service provider. There could be something on the “outside” that needs to be adjusted and can only be fixed by the provider. These are just some of the steps that you can take to ensure that Airplay is working properly. Hopefully, these steps helped to clear up any issues that you run into. If not, be sure to let us know in the comments and we’ll be sure to let you know if there are any other fixes. If there’s a fix that we didn’t cover, let us know and we’ll add it to the list for future reference! Stops and starts mostly stops. Yet, Apple TV works fine on its own, so clearly, the wireless connection is fine. It just won’t play anything from my computer over airplay without constantly stopping. 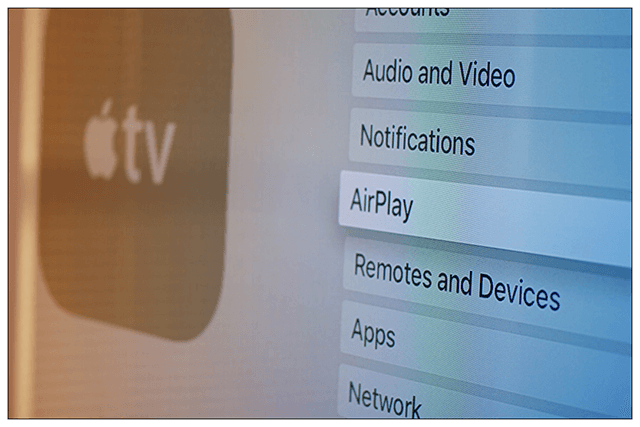 Airplay has a lot of issues–why does it keep stopping all the time??? I can play youtube no worries I keep reading all these comments about how good it is but the truth is it is rubbish. I have tried what you have suggested but it’s still not always working, it keeps dropping out how hard can it be ???????? ?